The question of who built the mosque was examined in detail by the District Court in 1946 and decided in favour of the Sunnis. The Shia Central Board of Waqf in Uttar Pradesh recently filed an affidavit before the Supreme Court in the Babri Masjid-Ram Janmabhoomi dispute taking the position that the mosque was a Shia Waqf property and the one-third share of the disputed site allocated to “Muslims” by the Allahabad High Court would belong to the Shia community. Having thus laid its claim, the Board has prayed for the appointment of a committee of a retired judge of the Supreme Court, two retired judges of the Allahabad High Court, the chief minister of UP and a nominee of the Prime Minister’s Office before whom the Shia Waqf Board, the Nirmohi Akhara and the “Hindu sect” shall make proposals for settlement. The proposal put forward by the Board is that the masjid, instead of being constructed at the disputed site, “can be located in a Muslim-dominated area at a reasonable distance from the most revered place of birth of Maryada Purushottam Sri Ram”. The Board in its affidavit dismisses the claim of the Sunnis and says “the Sunni Central Board of Waqf, UP, is under the dominant control of Sunni hardliners, the fanatics (sic) and non-believers in peaceful coexistence, who have absolutely no stake in the present case”. The timing and the politics of the position of the Shia Waqf Board have been the subject matter of much discussion and are not difficult to understand and place in today’s political context. However, a few words deserve to be said about the legality of their position. In 1945, the same Shia Central Board of Waqf in UP had filed a civil suit - Suit No. 29 - before the Civil Judge, Faizabad, against the Sunni Central Board of Waqf in UP asking for a declaration that the Babri Masjid was a Shia Waqf (an endowment made by a Muslim to a religious, educational, or charitable cause) property. The Shia Board relied on inscriptions found in the Babri Masjid along with oral testimonies of witnesses to claim that the mosque was built by Mir Ahmad Baqi, an Ithna Ashari Shia, and its mutawallis (administrators) have been Shias belonging to Mir Baqi’s family ever since, and the masjid had been in the possession of Shias all along who had been reciting their prayers in it. (vii) There was evidence that the mosque had been used by both sects and, in any event, mere use of the mosque by Shias would not convert it into a Shia Waqf property. Thus, the very same issue being re-agitated by the Shia Waqf Board before the Supreme Court already stands settled by a decree of a court between the same parties i.e. the Shia Board of Waqf, UP, and the Sunni Board of Waqf, UP. The Shia Board had also not filed any pleadings before the Supreme Court in the last seven years that the matter has been pending there. This decree was not challenged by the Shia Waqf Board and attained finality. However, in an attempt to overcome this legal hurdle, the Shia Waqf Board has now filed a special leave petition before the Supreme Court to appeal against the decision. Not only is this appeal delayed by 72 years, it is also filed before the wrong forum as the first appeal against the order of the Civil Judge, Faizabad, would lie before the Allahabad High Court and not before the Supreme Court. The affidavit further seeks to rely on the decision in the title suit between Hindus and Muslims decided by the Allahabad High Court by its order dated September 30, 2010, in support of its contention. Three separate orders were pronounced by the three learned judges of the high court in the judgment dated September 30, 2010, which is presently under challenge before the Supreme Court. 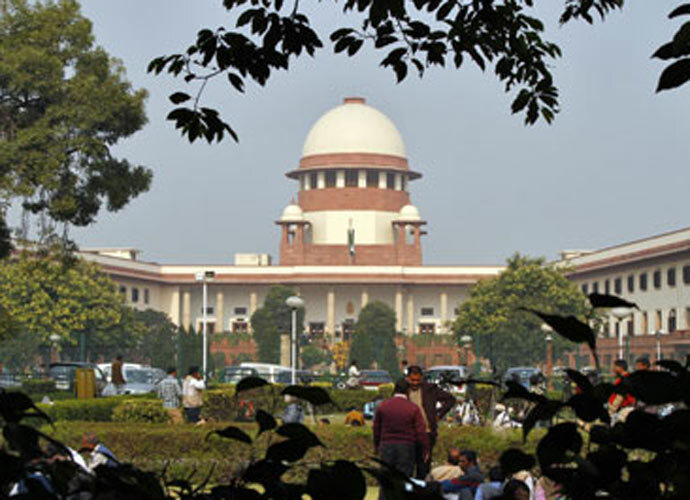 Justice Sudhir Agarwal in his judgment held that the plaintiffs (Sunni Board of Waqf, UP, and others) “have failed to prove that the building in dispute was built by Babar. Similarly, defendant No. 13 has also failed to prove that the same was built by Mir Baqi.” The learned judge held that when the mosque was built and by whom cannot be determined with certainty. However, his “informed guess” was that the building may have been constructed between 1659 and 1707 AD during the reign of Aurangzeb. The third judge, Justice Dharam Veer Sharma, in his opinion held that “it transpires that the temple was demolished and the mosque was constructed at the site of the old Hindu temple by Mir Baqi at the command of Babur”. Thus, while the question of who constructed the Babri Masjid was examined in great detail by the high court, none of the opinions rendered by the three judges give a finding that in any way favours the Shia Waqf Board. Despite this, the affidavit of the Shia Waqf Board quotes the arguments made by Nirmohi Akhara where it was argued (a) that the mosque was constructed by Mir Baqi and the Waqf created by a Shia Waqif could only be a Shia Waqf and could not be a Sunni Waqf and (b) that the judgment of the civil court dated March 30, 1946, is not binding. The affidavit wrongly describes these as the findings of Justice Sudhir Agarwal, which is contrary not only to his actual findings but even to the extract reproduced in the affidavit which describes these as arguments made by the Nirmohi Akhara. Relying on this, the affidavit attempts to wriggle out of the judgment dated March 30, 1946, of the Civil Judge, Faizabad, which had finally decided the issue as between the two parties therein. It is relevant to note that although the Shia Waqf Board was a defendant in one of the five title suits between Hindus and Muslims before the Allahabad High Court which resulted in the judgment dated September 30, 2010, it remained largely inactive throughout the trial. The Shia Board had also not filed any pleadings before the Supreme Court in the last seven years that the matter has been pending there. The manner in which the Shia Waqf Board has now suddenly woken up after decades of slumber to claim all rights in the mosque on behalf of the Muslims only to give up those rights in the same breath in exchange for a mosque to be constructed in a “Muslim-dominated area” suggests that it is politics and not law that is at play here. The timing of the actions of the Shia Waqf Board too raises some serious questions. The case which had been awaiting its turn for hearing for the last seven odd years got listed before theSupreme Court on August 11, 2017 on a mentioning (an oral request to the Court) by Subramaniam Swamy. This was the third time Swamy has tried this. On the previous two occasions, he mentioned the matter before Justice TS Thakur, the previous Chief Justice of India, and on both occasions his request was turned down by the Court on the ground that he had no locus standi to mention the matter as he is not a party to the dispute and was told the matter will come up in its turn. This time, the request was allowed despite there being no urgency in the matter and the Court specified a timeline for its hearing with preliminary hearings commencing from December 5, 2017. Three days before the August 11 date, the Shia Waqf Board filed this affidavit before the Supreme Court. The coordination between the Shia Waqf Board and the political interests trying to rake up this issue before the 2019 general elections is too much to be a coincidence. The Court will now have to step up to the responsibility of ensuring that a sensitive legal dispute is not allowed to become a divisive strategy in the run up to the 2019 general elections. Disclaimer: I represent the Sunni Muslims before the Supreme Court in this case. Although I have tried to faithfully report findings of the courts and have quoted relevant extracts, as far as possible, to maintain objectivity, the opinions expressed herein may be filtered for bias accordingly. The writer is a lawyer based in New Delhi.